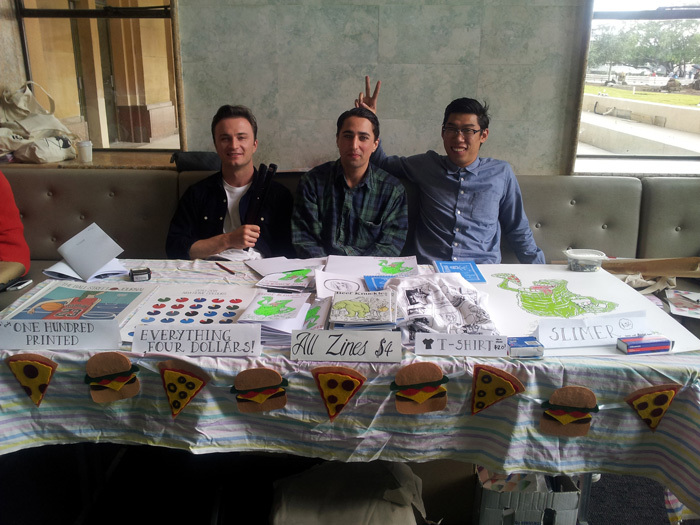 A bit late but thank you to everyone that came along to our table at this year’s MCA Zine Fair to have a chat, a browse and even pick up an issue of BK, Ball Street or Bryn’s amazing Slimer print. It’s unbelievable how happy you make us when you stop by and look at our stuff and ask us how we’re going. Anyway, here’s a photo from the day and I’ll post up some shots of the latest BK#6 as well as BK#5 which we put out last year.